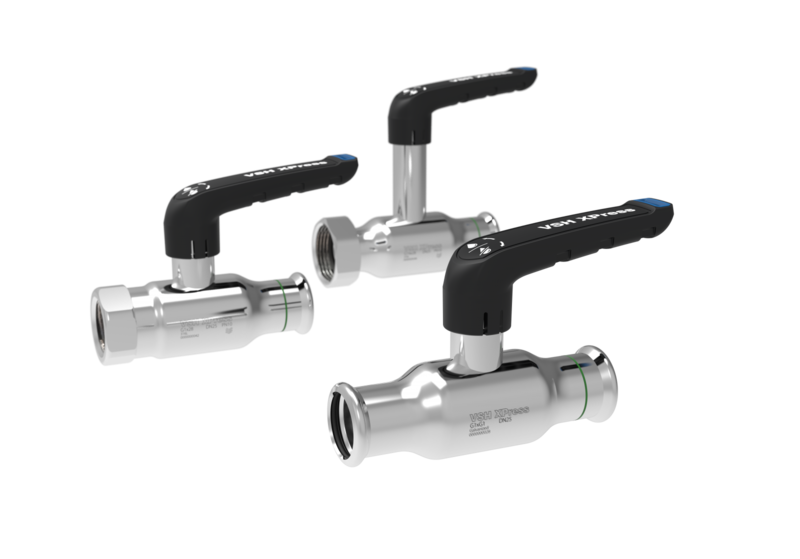 VSH expands her range with the VSH XPress FullFlow ball valve, equipped with M-profile press connection. 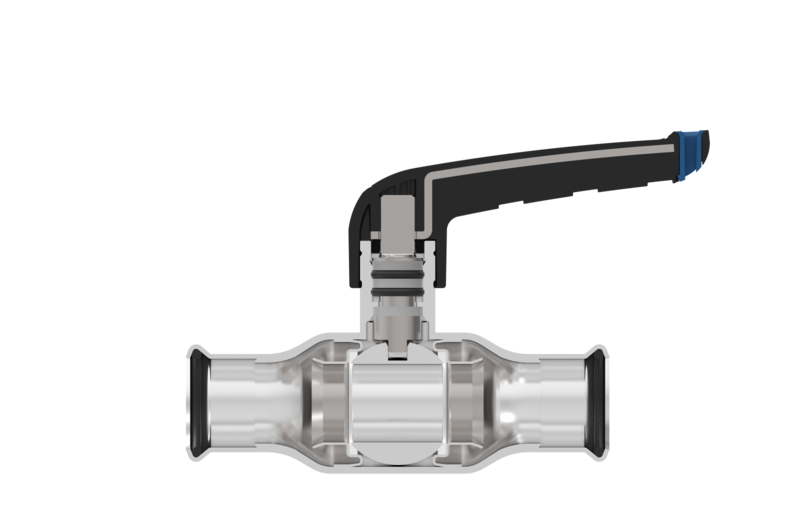 This ball valve fits seamlessly on the existing VSH XPress piping system and is available in galvanized steel and stainless steel. The valve construction ensures 100% full flow and at the same time the slim design ensures optimum insulation to an extent never seen before. A variety of connections make it easy to choose the proper solution in any given installation process. The valve is available with both short and long stem. The long stem is an integrated part of the valve, which makes it possible to seal the insulation correctly to the stem. The new unique handle has been specially developed with focus on easy operation. The handle is made of fibre glass reinforced nylon, ensuring minimum energy waste to the environment and maintaining its strength with an embedded metal reinforcement. With changeable clips on the handle it is furthermore possible to mark e.g. cold or hot water.